I will start this posting by apologizing up front for the long delay in posting. I will also apologize if any of this posting offends anyone because I am dismayed at the growing numbers of calls that I am receiving from ADHD/ADD folks here in Portland Oregon (OR) who are having problems with their new providers. The scenario goes like this: Patient X is being seen by a provider who either leaves their clinic/office and is transferred to a new provider. The new provider either doesn’t believe in ADHD or doesn’t want to continue the previous medication. Most of the time that previous medication was a stimulant and the new provider or their clinic’s policy is to avoid prescribing stimulant medication. So the new provider attempts to convince the patient that their symptoms are really related to underlying depression issues and will want to switch the patient to an anti-depressant. Or the new provider will attempt to convince the patient that their issues are related to underlying anxiety issues and wants to prescribe something for anxiety. While we can debate the intentions of the new provider, what is more problematic is this growing trend to delegitimize ADHD as a true neurobiological disorder and reduce the prescribing of certain medications that oftentimes are most efficacious in treatment. If this scenario is happening to you or a loved one, you have the right to speak to a supervisor or office manager and inquire about their medication policy. You have the right if all else fails to find a new provider who will work with you in a collaborative effort and see you as part of the solution rather than part of the problem. I understand that if you are limited in provider choices, you might inquire if your plan will allow you to see providers outside of your network on a single case agreement because you are unable to find one in network that will work with you in a partnership basis. Most of all, if you have been successfully treated with a medication for some time and the new provider can’t provide a reasonable medical reason for making a change, you might wish to find one that will accomodate you. As always, if you have any questions, concerns, or suggestions about ADHD/ADD in the greater Portland Oregon (OR) area, please feel free to contact me at (503)492-2200. It never ceases to amaze me that here we are in 2016 and there are still people continuing to assert that ADHD does not exist here in Portland OR. They contend that it can be explained away in several different ways and all one has to do is start doing some things or stop doing some things and their symptoms will disappear. These could be start exercising, take certain supplements or vitamins, do yoga, start biofeedback and other “remedies”. While some of these may be tangentially helpful, for most they are only another set back in finding relief from symptoms that have plagued them for years. Finally out of desperation I get the call and hear tale after tale of failed academic endeavors, failed relationships, employment issues, irritability, time issues and many other problems. I understand their plight after hearing thousands of similar tales and I wonder how in this electronic age with information flashed around the world in seconds, we can have so many professionals and lay-people who continue to assert that ADHD is a fabricated disorder and is being over diagnosed leading to over prescribing of certain medications. The reality here in Portland Oregon is that there aren’t enough ADHD specialists to satisfy the need. To make matters worse, Portland has seen an explosion of new residents that are attracted to the area for many different reasons. This has only exacerbated the problem because many new transplants were diagnosed previously, are taking medications, and are needing to find a new ADHD specialist to take over their medication management and or therapy. My recommendation is to be patient, be proactive in finding someone that understands the complexity of ADHD and is willing to work with you. Too often when one goes to see a doctor or other health care provider, you feel as though you are invisible, simply just another number. If that happens, discuss it with your provider, ask for what you need, and if you still don’t feel heard or understood, that might be indicative of needing to find someone else that you feel understands you better. As always, feel free to contact me at (503)492-2200 to discuss your needs. I welcome your thoughts, feedback and questions. Blame it on the media, I mean we tend to blame them for everything else so why not blame them for the influx of new residents to our fair city? The media has been touting Portland Oregon as the number one city in attracting new residents. Almost daily I’m getting more calls from new residents who have moved here and can’t find anyone to either take over their medication management or that has openings to see them as a new undiagnosed person. Oftentimes they want to find someone to see that week or the next week. When I inquire if they have contacted other providers they often say “yes, I’ve called 20+ people but you are the only one who has called me back”. I let them know that, usually when they don’t get a return call it is because that provider is not taking new patients. I explain that as a solo practitioner, it literally would take hours and hours to call everyone back. Most people know if they don’t get a return call it is not because the doctor or provider is rude or insensitive, rather between seeing patients, doing the required mounting paperwork, increasing numbers of prior medication authorizations, opening and closing patient files, handing requests for records etc., a solo practitioner spends more and more hours doing non face to face requirements. I tell callers that if you don’t get a return call, keep looking and find someone else. Mental health specialists are similar to physical health specialists in the time required to see a new patient. Usually it can take months to see a new cardiologist, orthopedic doctor or urologist etc. and so it can be with ADHD specialists here in Portland Oregon (OR). The key if you are moving here or to another city, is not to wait until you are down to your last weeks medication, rather do your search in advance and see if you can make an appointment that will coincide with your new arrival. That will help to ensure a smooth transition of coverage. If you are undiagnosed the same applies; make an appointment in your new city before you arrive there, rather than waiting weeks/months. Finally, if you have been diagnosed, make sure to have a treatment summary from your old provider listing diagnosis, medications used, any therapeutic notes that would be helpful, old medication bottles, and current medications. Having this information with you helps to speed up the overall process. I am hopeful this will assist new arrivals and current residents find an ADHD specialist in Portland. We welcome you and are glad you have decided to move here. As always, I encourage your questions, suggestions, experiences and feedback. If you or a loved one is having problems with ADHD like symptoms, find a local ADHD specialist or if you are in the greater Portland OR area feel free to give me a call at (503) 492-2200. Too frequently we hear the drone of the problem side of ADHD/ADD but are there any benefits to having ADHD/ADD? I believe the answer to that question is an emphatic YES! Once diagnosed and treated, a person can move past the perceived drawbacks, learn to make adjustments, and move from deficit thinking to benefit thinking. ADHD folks are incredible thinkers and oftentimes think outside the box from some of their “normie” counterparts. They can use the ADHD brain to approach the problem or situation and come up with novel answers. Look at Richard Branson who founded Virgin Airlines and the Virgin Group of over 400 different companies. Many ADHD’s can see beyond the surface and see things in greater detail and greater depth. Having said this, ADHD folk are not the kind that do well in highly repetitive tasks that could be mundane like widget maker on a conveyor belt eight hours a day. The ADHD brain is highly developed and needs change to stimulate it, which is why so many find it difficult to slow down and only do one thing at a time. Ever notice the desire to multi-task and do all of them well at the same time? ADHD folk are also creative in writing, acting, music, film, sports and other endeavors. Some of the more famous ADHD folks in this realm include Adam Levine, Jim Carrey, Ryan Gosling, Katherine Ellison, Woody Harrelson, Mariette Hartley, Solange Knowles, Howie Mandell, and Michael Phelps. The list of famous people who have ADHD continues to grow as more come out and share their diagnosis. This is crucial as it shines a much needed light on the disorder as it cuts across all segments of society. It emboldens others to come forward and speak up against those who either minimize ADHD as non existent or feel that getting diagnosed and treated are unnecessary. It also puts a human face on those folks who while having good intentions, continue to feel that ADHD is over reported and over treated with unnecessary medications. If anything, the literature is replete with studies that indicate once diagnosed and treated, ADHD folks benefit most from a combination of medication and therapy/coaching. In short ADHD folks can be highly intelligent, possess great sense of humor, are master generators of ideas, can think outside the box, are passionate, adaptive, compassionate and empathic. ADHD folk understand what it means to have others tell you that you aren’t working up to your potential or that all you have to do is “try” harder. They are highly resilient which is why I love working with this field so much. I do suggest that if any of these words applies to you, that you take action today to make changes in your life and start seeing the benefits in ADHD/ADD and what that might do to your overall functioning. As always if you or someone you know or love thinks they may have ADHD/ ADD and lives in the greater Portland Oregon (OR) area, have them give me a call to discuss their situation. I welcome all you thoughts, suggestions and comments. I am receiving more calls from distraught folks complaining about the difficulty in finding a provider here in Portland OR. 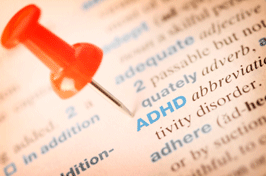 to assess and or treat their suspected or already diagnosed ADHD or ADD. The callers report contacting many practitioners and are told “sorry we don’t prescribe ADHD medication” and told to go elsewhere. One reason for this difficulty might lie in the callers age 18-35 where there are some “bad apples” that are seeking ADHD medication for illegal purposes (selling, trading, bartering, etc). Stimulant medication, like benzodiazepines (anti-anxiety medication), and pain mediction (opiates) are three of the most sought after prescription medication sometimes because they have “street value”. This leads many providers to avoid the prescribing of these classes of medication for any long term time period. Unfortunately, stimulants have been shown to be most effective when seeking a medication option to treat ADHD symptoms, hence the angst patients are feeling when they can not find a local Portland provider to assess and treat them. This problem is especially difficult for new arrivals to Portland from other cities and states that have already been diagnosed and are successfully treated with ADHD medication and can not find a new provider here in Portland (OR.) Oregon to take over their medication management. The only solution to this problem is a combination of patience, assertiveness in making calls, and a willingness to find a true ADHD specialist who understands ADHD and treats each person as a unique individual. Additionally we need to be more proactive in raising the awareness of what ADHD is and debunk those who feel that ADHD/ADD is either non existent or over diagnosed. Once again, thank you to all those who call, write and e-mail. I welcome all your questions, thoughts, recommendations and positive feedback. It’s fall and the calls have picked up from students returning back to college. Many of the calls are from frantic voices indicating that they are from other parts of the country who have move here and are having great difficulties finding a prescriber to take over their ADHD medication management. Some indicate that they’ve contacted over twenty doctors, psychiatrists and other prescribers and were told that they do not work with ADHD or that they do not dispense certain kinds of ADHD medications. The students are also told by some schools that they must undergo rigorous mental health testing that in some cases is not covered by their insurance plans and costs hundreds/thousands of dollars. The students are wondering why is this necessary especially if they have a history of previous ADHD diagnosis and previous successful medication management? Why do many doctors refuse to treat ADHD or refuse to dispense certain kinds of ADHD medications? The answers are not simplistic, rather they are multi leveled. One possible reason is that hardly a week goes by when there isn’t some article that claims ADHD is not a real diagnosis or can be explained by some other explanation. The most recent one I read indicated that ADHD is really a need for someone to have challenging change of scenery and when a person isn’t challenged they can become bored and easily distracted. While there is some validity to many ADHD folks being easily distracted and finding some repetitive tasks boring, it may be wishful thinking to proffer that all one has to do is change the scenery and the ADHD disappears. Another problem to this ADHD medication issue in Portland Oregon is that there are far too few specialists here and in the country that have extensive knowledge about ADHD. I’ve been rather fortunate to have worked with thousands of ADHD clients and understand how beneficial it can be to find someone who both understands ADHD and doesn’t demonize those who are simply wanting to be treated with dignity and respect. The reality is that there are a few “bad apples” who seek ADHD medications for illicit means usually to divert it to others or use it on occasions to enhance performance. This is the rare exception and prescribers need to be especially diligent to weed these individuals out but at the same time, not punish those who legitimately have ADHD issues. This could also be said of those with legitimate pain or anxiety issues as well. The challenge in all of this is to find an ADHD medication specialist in Portland who you feel you can work with. Please feel free to contact me at (503) 492-2200 to discuss your situation. As always, I welcome your notes, feedback and suggestions for future topics. Information and resources for ADHD (attention deficit hyperactivity disorder) and other mental health disorders such as anxiety and depression in Portland, OR and Vancouver, WA. Feel free to post comments or questions and I will respond accordingly.